Explore the beautiful state of New Hampshire while staying at one of these unique inns, hotels and lodges which offer elegant accommodations, great service and a choice of activities. Plan a romantic weekend away at a secluded country inn or a family trip at a resort with a spa and swimming pools. Explore the Lakes Region of New Hampshire or relax with fresh air and great food surrounded by White Mountain National Forest. Here are the best New Hampshire getaways. 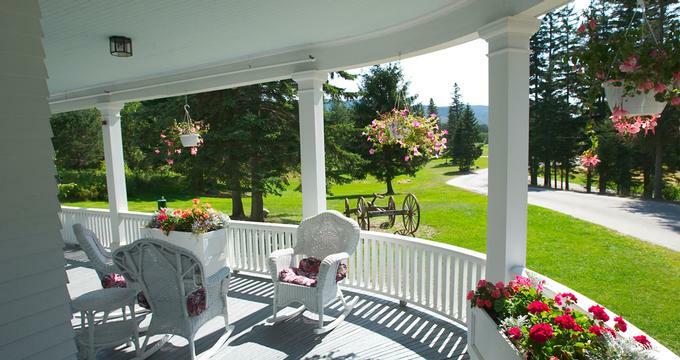 The Omni Bretton Arms Inn at Mount Washington is located within the White Mountains’ Presidential Range, giving guests the opportunity to enjoy beautiful views in a historic inn. The rooms are cozy and feature luxurious amenities such as private baths, in-room safes, and windows that actually open. You also have convenient Wi-Fi service throughout the property. 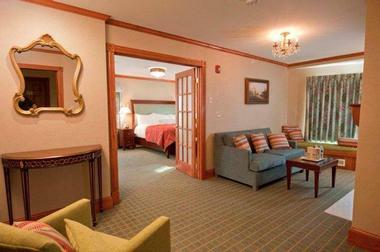 You can alternatively stay in another area of the Omni Mount Washington Resort or the Bretton Woods Townhomes. 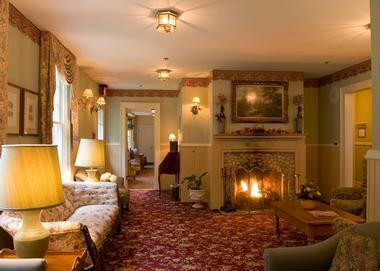 If you are looking for romantic getaways in NH, this is a great place to visit. Guests of the inn have access to an incredible range of resort activities such as horseback riding, a canopy tour, tennis, golf, snowboarding, and skiing. There is also fly-fishing, hiking, mountain biking, a fitness center, and a luxury spa to enjoy. You can go swimming in the outdoor pool, heated indoor pool, or relax in the hot tub. The Bretton Arms Dining Room serves fresh breakfast as well as locally sourced and elegantly prepared foods. This is a casual restaurant with upscale service and a great wine list. There is also a Wine Bar on-site. The Christmas Farm Inn & Spa is ideal for romantic getaways with a range of rooms, suites, and amenities as well as a great location. 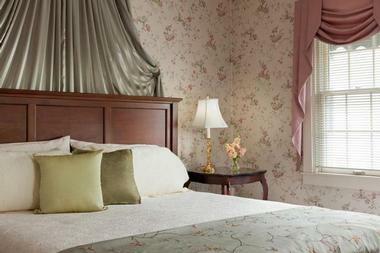 Every guest room or suite is unique with its own whimsical folk art, antique-shop finds, and family heirlooms. You can select from rooms in the Main Inn, suites in the Carriage House, Salt Box rooms, handcrafted cottages, or Family Barn Suits, providing options for groups of all sizes. Depending on the room or suite you choose, it can sleep two to eight people and have up to three bedrooms and two rooms. Other possible amenities include fireplaces, Jacuzzis, sitting rooms, private entrances, refrigerators, private patios or decks, and TVs with DVD players. Some rooms are also dog friendly. The full-service spa includes a fitness center, hot tub, and both indoor and outdoor pools. The staff members use Aveda spa products and offer a range of delightful treatments. The on-site restaurant serves New England dishes that are made with local, fresh ingredients whenever possible. There are also great daily specials. The inn is just a short drive from Story Land, Santa’s Village, great tax-free shopping, and romantic destinations. The Bear Mountain Lodge was created to give couples the chance to escape in a quaint bed and breakfast with rustic luxury. The building is a handcrafted log cabin that was built in 2005. There are nine guest rooms, and many of them have fireplaces, steam showers, garden walkouts, and in-room Jacuzzis. Rooms feature either king or queen beds and amenities include private baths, in season air conditioning, a ceiling fan, a makeup mirror, a flat panel TV with cable, and a DVD player. There is Wi-Fi throughout the lodge, but the signal is weak in some non-common areas because the logs are so thick. Some rooms also have iPod docking stations, seating areas, coffee makers, rocking chairs, leather loveseats, and/or log furniture. The Lodge covers twenty-six wooded acres of land, perfect for exploring or enjoying the outdoors. The wraparound deck is perfect for enjoying views of Mount Washington and other nearby mountains. There is also an outdoor hot tub and an outdoor fire pit. Guests even have access to complimentary drinks. Complimentary breakfast is served in the dining room with baked goods or fruit as well as a hot entree such as cranberry poached pears, orange French toast, wales with brown sugar peaches, caramelized onion and provolone quiche, and more. Coffee and tea is available all day long. The Snowflake Inn is the perfect getaway for any group of adults, whether you are looking for a weekend of romance or a girl’s weekend. King suites have the best amenities and feature radiant heat, central air, Kohler double showers, 2-person Jacuzzis, fireplaces, HDTVs with BluRay, and Wi-Fi. There are several room choices, including King Suites and three Grand Suites. There is an Indoor Tropical Spa that is maintained at 89 to 90 degrees and lit by candles and low lighting. There is even a four-foot sheer-descent waterfall. There is a Badu Swim Spa jet and eighteen other jets. You can also enjoy a patio and a roaring fire. There is also a Wellness ZONE Fitness Center has a range of Technogym equipment and an Infrared Sauna. You can also have a massage at the Wellness Zone. Area activities are limitless, and include tax-free shopping, canoe trips, kayaking, running, walking, biking, and hiking. This award-winning boutique hotel is located in a 1809 Federal-style mansion in the center of historic downtown Exeter and offers luxury accommodations. Guests are accommodated in one of the nine rooms decorated with antiques, works of art, a private bath, and top-of-the-line linens. Most rooms also have working fireplaces for added romance, and all have purified water, a refrigerator, microwaves upon request, and complimentary port wine. There is Wi-Fi throughout the property as well as smart flat-screen TVs. The Inn at Valley Farms is a quiet bed and breakfast on a 105-acre farm that is managed organically. There are rooms in the 1774 Colonial home as well as family-style cottages and the Sunnyside farmhouse for larger groups. All guest rooms have Wi-Fi, air conditioning, tables and chairs, a king or queen bed, an iPod docking station, and lovely garden views. There are also premium amenities such as organic shampoo and locally made goat milk soap. You will also find plush towels and bathrobes, hair dryers, and irons. Cottages can fit six guests and the Sunnyside Farmhouse can sleep eight. There is a relaxing fire pit on the property, and guests can explore the farm or buy produce, including meat and eggs, to take home with them. Inside the inn, you will find a sitting room, a sunroom, and a game room. Coffee and tea are available 24/7 as well as homemade cookies and a guest pantry. Guests in the inn include a three-course farm-to-table breakfast while the cottages and farmhouse have kitchens stocked with fresh farm food. You may also like: Fuller Gardens which were featured in "25 Best Botanical Gardens to Visit on Your Romantic Weekend Getaway." The The Notchland Inn is surrounded by White Mountain National Forest and hosts a 100-acre estate featuring the 1860’s granite mansion. There are twelve romantic and spacious guest rooms as well as two cottages that are pet-friendly. 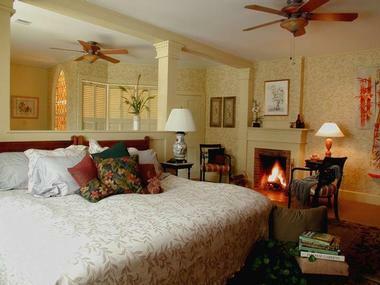 Each guest room has a wood-burning fireplace and a private bathroom. Rooms have either a queen or king bed and wingback chairs or a loveseat, and they also feature air conditioning, ceiling fans, and showers. 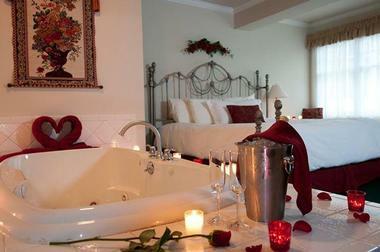 Some rooms also have bathtubs and Premium Suites add soaking tubs or 2-person Jacuzzis as well as a sitting room. Some also have private decks. The cottages are ideal for families or larger groups as they have kitchens or wet bars and TVs. The property includes 8,000 feet of frontage along the Saco River as well as two swimming holes. You will also find hiking trails that start right on or next to the property. You can enjoy breakfast and a five-course dinner at the Notchland Inn. Breakfast always includes a hot beverage, homemade granola, cold cereal, and the choice of eggs, French toast, or pancakes. Deer Mountain Lodge & Wilderness Resort is a great vacation destination, and it can also host functions such as weddings. There are five bedrooms, each of which has a private bath as well as cozy bedding and a custom log bed. If you prefer, you can also camp on the property. Room features vary slightly, but can include duck decoys, antique waterfowl framed art, antique horse tack or art, antiques that call to mind the New England winter, antique traps and hunting clothes, antique sugaring items. Rooms also have forest or mountain views and queen or king log beds. 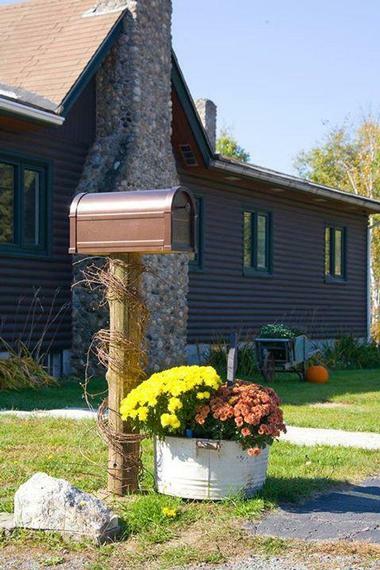 The property has wildlife all around it, and guests can access snowmobile and ATV trails right from the property. There are various available packages to help you get the most out of your stay, including the ability to rent a snowmobile, enjoy a romantic getaway, or host a special event. Other attractions that are on-site or just a short distance away include Ride the Wilds, Santa’s Village, Story Land, and opportunities for cross country skiing, white water rafting, snowshoeing, fishing, and antiquing. You may also like: The Children's Museum of New Hampshire. 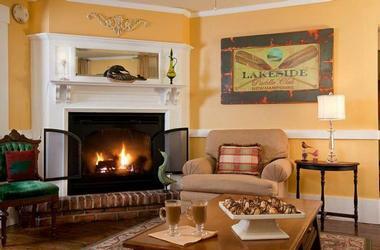 The Lake House at Ferry Point is the only lodging of its kind along the lakefront within the Lakes Region. The scenic property gives guests gorgeous views of mountains, luscious gardens, and Lake Winnisquam. There are ten uniquely appointed guest rooms, each of which has moisturizer, shampoo, conditioner, and soap made from Tarocco, a Sicilian fruit. You will find ComphySheets for extreme softness and comfort, and most rooms have pleasant sitting areas. There are one- and two-person kayaks to borrow and take out onto the lake, or you can enjoy the small beach that is right near the property. There are also beach towels to help you dry off. Inside, you will find a living room with a large-screen TV, a library, jigsaw puzzles, board games, checkers, and chess. 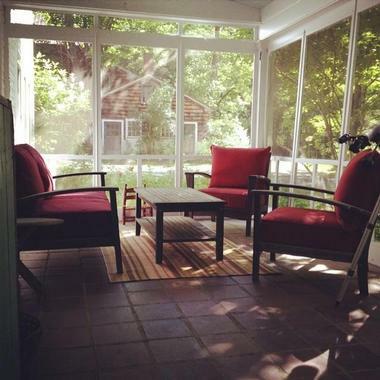 Guests can relax on the front porch or venture to nearby attractions in Gilford and Laconia. There is also 24/7 access to homemade cookies, brownies, coffee, and tea. 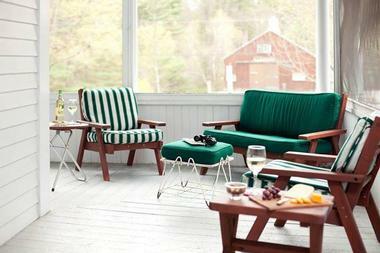 A delightful gourmet breakfast is served on the porch or in the dining room. The menu varies daily but can include items such as fresh fruit in a parfait, home-baked muffins or breads, peach melba French toast, eggs benedict, breakfast banana splits, French omelets, and quiche. 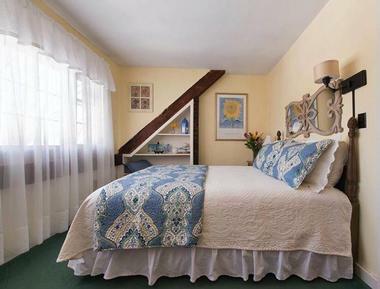 A Newfound Bed & Breakfast is ideal for couples looking to get away from their busy lives. The inn is pet-friendly and has four rooms available. Each of them has combed-cotton sateen sheets, extra pillows, and a pillow-top mattress. There are also private baths with 100-percent cotton Turkish towels and personal care products as well as plush robes. Every room has a flat-screen TV with a DVD player, HBO, cable, and Wi-Fi access. There is a fireplace in the great room, and you can play a game, read, listen to music, or borrow binoculars in the Loft. You will find a fire pit, patio, labyrinth, frog pond, tetherball, and horseshoes pit outside. The area makes for a peaceful place to relax, giving you an ideal location to watch the sunset and stargaze. There are acres of woodlands around the property, or you can walk through the flower and vegetable garden. Every morning begins with a home-cooked breakfast, including eggs from the inn’s chickens as well as herbs and vegetables from their garden. They can even accommodate special diets. The central location allows guests to go swimming, skiing, fishing, golfing, biking, antiquing, or on wine and brewery tours. D. W.'s Oceanside Inn overlooks the Atlantic Ocean and gives guests convenient access to miles of sandy beaches. The beach home was built in the early 1900s and was renovated to appeal to adult visitors looking to relax. Now each of the nine rooms has air-conditioning, telephones, and private baths. Guests have the choice of an oceanfront room, a deluxe room, an oceanfront suite with one bedroom, or the Sunbeam Cottage with three bedrooms. The Oceanfront Suite has a bedroom with a queen-size bed, a kitchen, office, living room, and deck as well as the bathroom. The Sunbeam Cottage can fit six people in the three bedrooms, and it has two baths, an enclosed porch, a living room, a dining room, and a kitchen. All rooms have nightly turndown service, Wi-Fi, wired Internet in the living room, and safes. All rooms require at least a two-night stay with the suite, while the cottage requires a three-night stay. Guests have access to a self-service bar in the back deck as well as beach towels and chairs. Because the inn is right along the edge of Hampton Beach, there are activities and dining within a quick walk, and Boston is under an hour away by car. 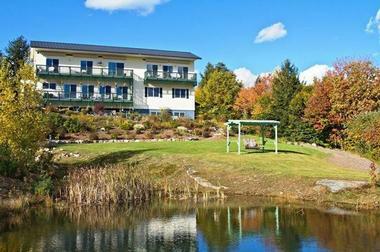 This boutique hotel is right by Lake Winnipesaukee and is only a short walk away from Squam Lake. Therefore, guests can admire gorgeous views in a relaxing setting. 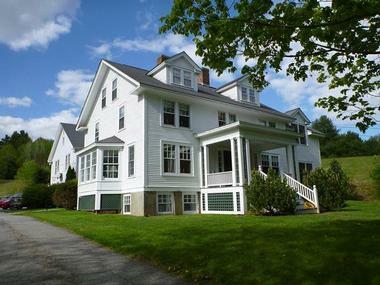 This 1895 farmhouse has nine private rooms for guests, each of which is decorated in a vintage New England style to show the heritage of the lakes region. Rooms have private baths, wireless Internet, air conditioning, fine linens, and a complimentary full breakfast. There are also iPads available for checkout. For a longer vacation, you can rent the Lake Side Apartment. You may also like: 20 Best Things to Do in Portland, Maine. This bed and breakfast and retreat center overlooks the White Mountains as well as Newfound Lake, one of the world’s cleanest lakes. It is also the deepest lake in the state. The inn is pet and child friendly and creates a relaxed atmosphere guests are sure to appreciate. There are even dog treats, toys, dishes, and beds. There are two suites as well as two guest rooms, some of which have private balconies, walk-in closets, walk-in showers, Italian marble bathrooms, and memory foam mattresses. Guests can enjoy nearby hiking trails, waterfalls, state parks, and gorgeous views. The inn also has a spa on-site to help you unwind after a day of exploring the nearby outdoor attractions. Daily breakfast includes fair trade coffee, tea, juice, fresh fruit, baked goods, and hot entrees. The inn can accommodate most dietary restrictions, and the kitchen staff is willing to try to find unique breakfast dishes guests have not had in awhile. You can also arrange to eat other meals at the inn. 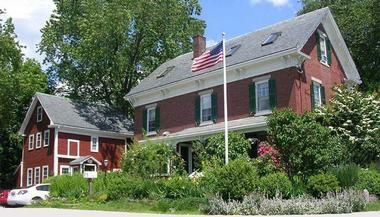 Although this inn is located in Kittery, Maine, it is within a quick walk of downtown Portsmouth, New Hampshire. This charming Victorian bed and breakfast has five inviting rooms as well as a day spa situated in the converted barn. Each room has a TV with a VCR/DVD player, cotton terrycloth robes, en-suite private bathrooms, feather-and-down pillows, and down comforters. There is Wi-Fi throughout the inn and most of the property. Every floor has a guest refrigerator with Poland Spring Water. The traditional brick main house has a cozy front porch, and the inn and spa both feature gorgeous views. The spa offers pampering treatments like body wraps, pedicures, manicures, facials, and premium-quality massages among other services. All guests start the day with a two-course breakfast, but you can replace it with an early continental breakfast if you prefer. Breakfast is served local coffee and tea, local jellies and jams, local croissants and breads, and ingredients are locally produced and locally grown whenever possible. Breakfast includes a hot dish such as Maine blueberry pancakes, and it also has home-baked pastries and fresh fruit. Teatime includes fresh baked goods, including vegan options. 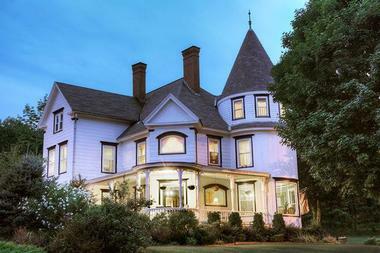 The Trumbull House was the first bed and breakfast in Hanover, and it has been family-run since 1995. The property sits on sixteen acres with beautiful grounds to explore. Each of the six guest rooms is welcoming and replete with amenities. They feature cotton bedding with luxury down comforters and pillows, private bathrooms, cable TV, VCR/DVD players, high-speed Wi-Fi, and air conditioning. The exact room configurations vary; some have small libraries, sleeping alcoves, window seats, and large desks. There is also a suite with two bedrooms as well as two bathrooms or the Guest Cottage, which offers comfortable seclusion. The bed and breakfast has several inviting sitting areas, but if you are looking for more activity, you can take advantage of the hiking trails, target golf, a basketball half-court, a swimming pond, and areas to sled, ice skate, cross country ski, or snowshoe. You can also borrow snowshoes or access the nearby River Valley Club for fitness. The business center has computer, fax, and printer access for the convenience of guests. Daily breakfast can be served whenever you prefer, and it includes fresh muffins, coffee cake, or scones as well as fresh fruit and a range of entrees such as granola, poached eggs, omelets, and buttermilk pancakes. The Inn on Golden Pond has been in business for 30 years and is just a short walk from Squam Lake. The building was originally a private colonial home and today it has been converted into the relaxing inn with eight guest rooms. There is wireless Internet throughout the inn, and each spacious room has a sitting area that includes two comfortable chairs. There are also flat-screen TVs in every room and plenty of natural light. The private baths have modern plumbing, private label toiletries, and luxurious towels, and all rooms have independently controlled air conditioning and heating. Many rooms also have full tubs. The inn has 50 wooded acres but is just three miles away from I-93. The area features excellent hiking opportunities, and this great location means that you can easily see moose, deer, or bears as you enjoy your breakfast. Complimentary breakfast includes homemade jam, home-baked muffins and bread, and a range of house specialties. 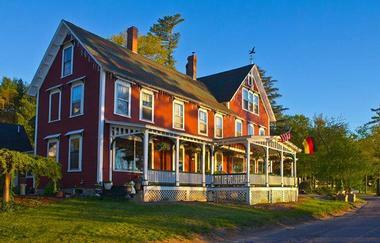 The Glynn House Inn is located inside a historic 1896 Victorian home in the Lakes Region by the White Mountains. Each of the six guest rooms has modern amenities and many are pet-friendly and feature separate sitting rooms or double whirlpool baths. If you prefer, you can stay in the apartment instead and have access to your own kitchen. This apartment has a dining table with four chairs, garden furniture, a BBQ, Wi-Fi, a private bath, and fireplace as well as other amenities found in the guest rooms. Enjoy your breakfast in the elegant dining room. You can relax with complimentary hors d’oeuvres and wine as well as afternoon refreshments on a wraparound porch or in the sitting room. Breakfast includes the choice of seven dishes as well as the day’s meat selection. Options include pancakes, waffles, poached pesto, fried egg sandwich, cold breakfast, scrambled eggs, and French toast. There are also gluten-free breakfast options. The surrounding area is perfect for snowmobiling, shopping, boating, fishing, hiking, golfing, fine dining, and visiting historic sites. 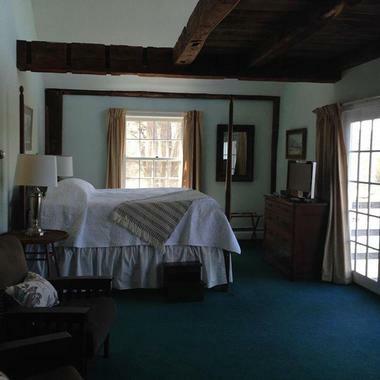 The Chesterfield Inn is well known for its gorgeous cathedral ceilings and picturesque views of the Connecticut River Valley. Rooms have four-poster beds and luxury linens. There are nine rooms in the Main Inn as well as two in the cottage that are pet-friendly and four in the Johanna Wetherby Building. Every guest room has free wireless Internet, a private bath, a flat-screen TV, a mini fridge, and air conditioning, and ten of the rooms even have gas fireplaces. This bed and breakfast is situated in a 1760 farmhouse and is pet-friendly, allowing you to enjoy a getaway with your furry friend. All of the five guest rooms are spacious and comfortable. They have renovated or new bathrooms, unique bedding, cozy reading areas, thick terry bathrobes, custom curtains, and free wireless Internet. The rooms in the main house have private baths while the two in the 1930’s wing share a single bath. Bathrooms vary but include items such as Victorian claw foot soaking tubs, walk-in showers, antique marble sinks, and original 1930’s fixtures. There are numerous common rooms where you can eat breakfast, play a board game, read, do a puzzle, play billiards, or enjoy afternoon tea. You can also relax on the screened porch or walk along the sprawling grounds. The morning begins with a full breakfast with fresh, local, and organic ingredients when possible, including real maple syrup. The menu changes daily, but the inn is always ready to meet dietary restrictions. There is always an egg dish or something like Belgian waffles as well as a meat selection, homemade baked goods, fresh fruit, and juice. The Wentworth is a picturesque inn perfect for romantic getaways, special occasions, and corporate retreats. It was built in 1869, and Jackson Falls sits on one side of the property while the PGA Wentworth Golf Course sits on the other. The main inn has sixteen standard queen rooms, three superior rooms featuring two double beds, and two superior queen rooms with single pullout sleeper sofa beds. Every room has a private bathroom with a shower while some have a tub/shower combination. The rooms are also air-conditioned and have TVs with DVD players and a Keurig coffee machine. They also have complimentary Wi-Fi. Guests can also choose to stay in a condominium with two or three bedrooms, a full kitchen, a fireplace, a whirlpool tub, and a living room. The spa services are available in your room or in the Thornycroft Spa Room and include massages, wraps, sea salt therapy, and a couple’s escape. There is a full-service gym on-site with exercise equipment, dumbbells, medicine balls, yoga mats, and more. The Wentworth also serves breakfast and dinner. The Darby Field Inn is located at the end of a gorgeous road surrounded by rolling hills, mountain views, wooded trails, and verdant gardens. The thirteen rooms and suites are perfect for romantic getaways. Some rooms have Jacuzzi bathtubs, balconies, soaking tubs, and gas fireplaces. Every room has a private bath, flat-screen TV with a DVD player and VCR, air conditioning, and gorgeous views, and deluxe rooms also have sitting areas. There is Wi-Fi throughout the property. You can schedule an in-room massage or order a special touch such as flowers, chocolate, or an upscale beverage. Guests can relax in the living room by the fireplace or sit on the patio, rest on a hammock in the garden, or swim in the outdoor pool. The inn is only a few minutes from the National Forest that covers 800,000 acres, making it ideal for hiking, biking, snowshoeing, and more. The on-site restaurant is open for breakfast and dinner, and they are more than happy to accommodate special diets. The Colby Hill Inn was built in 1797 and welcomes guests to relax in one of the fourteen guest rooms, each of which is individually decorated. All rooms have a private bathroom, complimentary wireless Internet, and air conditioning. You can choose a room with a whirlpool tub or a fireplace as well. Many have gorgeous period antiques as well as indulging amenities like down comforters and fluffy bathrobes. You have the choice of a queen or king bed and some rooms can accommodate a third guest. A majority of the rooms have four-poster beds, period antiques, and oriental rugs. In the areas surrounding the property, you can bike, hike, ski, or fly fish. The inn also has historical perennial gardens, a garden gazebo, and picturesque views of rustic barns. Guests can also relax in the pool or borrow equipment for croquet, volleyball, or badminton. You can enjoy a meal at Bartlett’s, the on-site restaurant for a guest-only breakfast or for dinner, which is open to the public. In the afternoon, guests can enjoy freshly baked cookies and hot cocoa, coffee, and tea, which are available all day long. 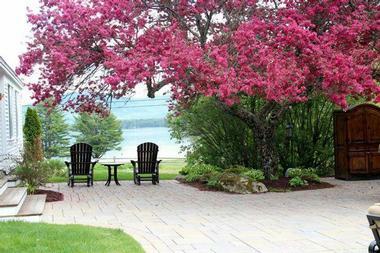 This cozy inn is right along the banks of Kezar Lake, affording guests gorgeous views. Each of the 18 guest rooms has its own decorations with en-suite bathrooms and wireless Internet access. Rooms have twin, full, queen, or king beds and some have great views of the lake. There are two common rooms. The Lounge has stunning lake views, a piano, and a fireplace as well as a service bar and snack bowl. The Game Room has books, board games, and comfortable chairs. The area is perfect for lake activities such as canoeing, sailing, kayaking, and fishing, as well as winter adventures like snowshoeing, snowmobiling, and skiing. The inn has bicycles, canoes, kayaks, a rowboat, and a sailboat that guests can borrow without additional cost. Morning breakfast consists of dishes with Louisiana influences. You can savor home cooked entrees like praline bacon, baked cheese grits, and pecan buttermilk waffles or items like Gruyere cheese omelets, smoked salmon, and asparagus. 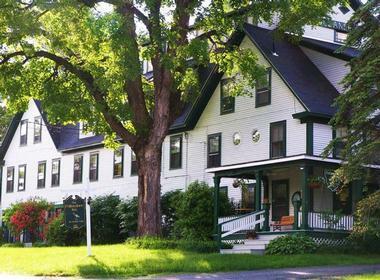 The Inn at Pleasant Lake is a waterfront inn with comfortable rooms and gourmet dining as well as easy access to popular New Hampshire activities such as outdoor adventures and golfing. The inn has central air conditioning and wireless Internet for your convenience.. All rooms have extra pillows, triple sheeting, and private baths with private label bath amenities. Most rooms also have a nice view of either Mount Kearsarge or Pleasant Lake. The rooms and suites have either queen or king beds. 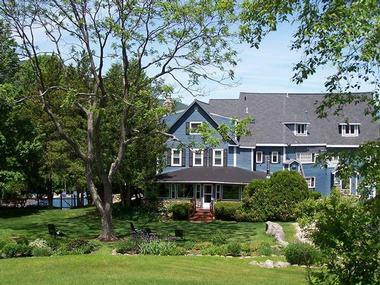 The inn has two canoes, a double kayak, two single kayaks, and a rowboat that guests are welcome to use. You can also borrow beach chairs and towels and spend a sunny afternoon at the sandy beach. There are many nearby trails that meander through the scenic landscape. Inside, the inn has books, games, a guest computer, and a small TV. Every stay includes afternoon tea as well as a hot breakfast. There is also a restaurant available for other meals. Martin Hill Inn is proud to give guests a relaxing retreat that is a quick ten-minute walk from downtown Market Square. The 19th-century buildings house unique guest rooms with luxurious king or queen beds. They also have en-suite baths, original artwork, antiques, reading chairs, flat-screen TVs, complimentary wireless Internet, and end table refrigerators. There are three rooms in the Main House and four in the Guest House. During the day, you can explore Portsmouth or wander through the inn’s perennial gardens where there are dozens of types of flowers. In the morning, guests enjoy a two-course full breakfast in the dining room. You can savor tasty delights like homemade scones and muffins and options like quiches, omelets, waffles, French toast, and peach-raspberry crumble. All food is locally sourced and grown when possible, and the kitchen staff can accommodate many dietary restrictions. In the afternoon, you can sip tea or coffee as you indulge in homemade cookies. Martin Hill Inn also offers complimentary snacks, chocolates, bottled water, and sherry. Continue to Part 2: Best Weekend Getaways in New Hampshire.